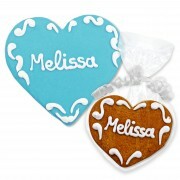 The gingerbread hearts "Melissa" are very special place card for your wedding. 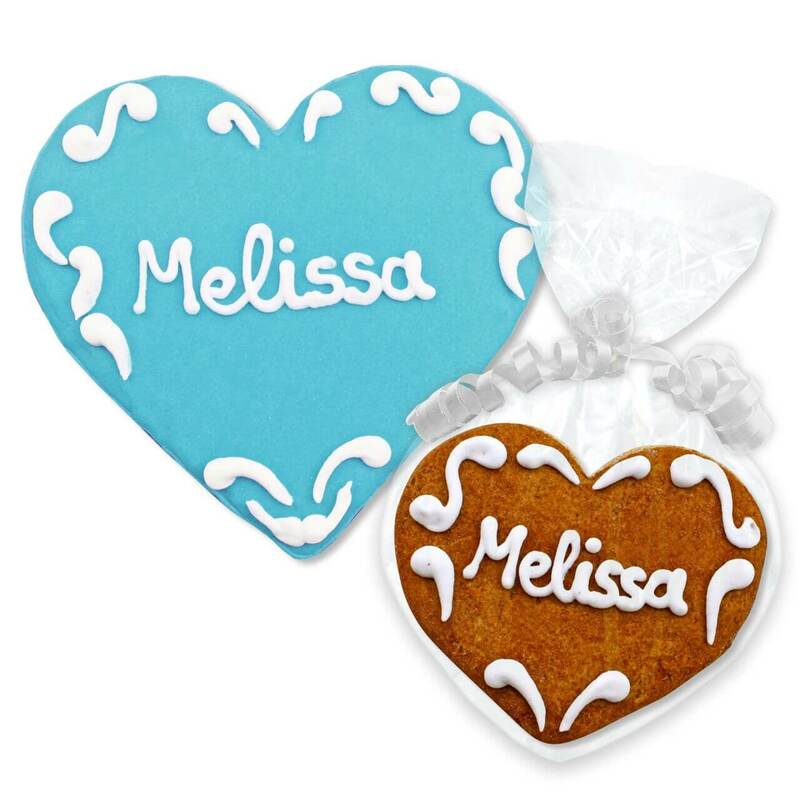 The filigree ornaments frame the names of your guests. 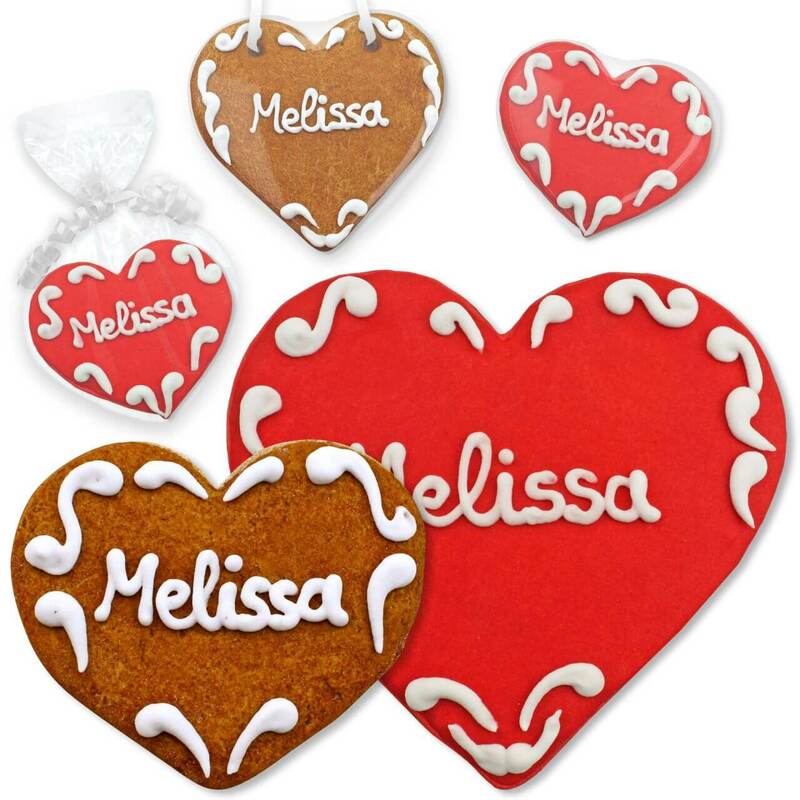 Optionally you can have a frosting filled background.